The City had planned on continuing to distribute sandbags Saturday at the Paul Jones Sports Complex but because heavy rains are expected Saturday morning, the event has been canceled. CORPUS CHRISTI (Kiii News) — The City of Corpus Christi will no longer be giving out free sandbags on Saturday due to the expected weather from tropical wave Invest 95L. 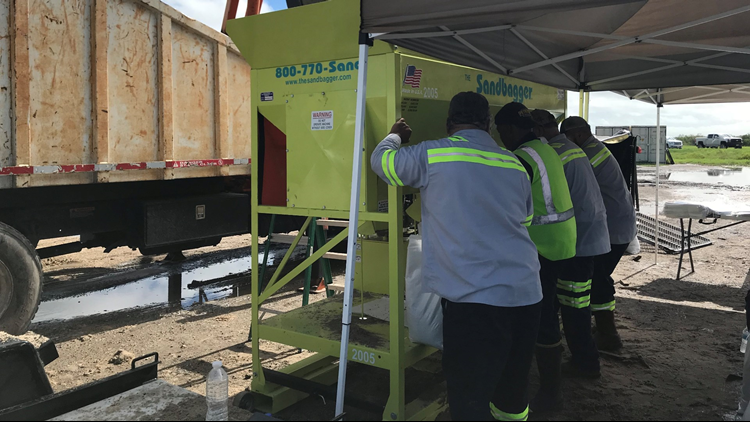 In preparation for the approaching tropical wave, this week the City began giving residents the chance to pick up six free sandbags per vehicle at the J.C. Elliott Collection Center. Residents lined up to receive their sandbags Wednesday, Thursday and Friday morning to prepare for potential flooding due to the storm. 3News is keeping an eye on the tropical disturbance at it approaches from the Gulf of Mexico. Stay connected here.